Meterhenge: Would YOU Send This to Clonehenge?? And now we are doing that thing. These two photos were sent to us by Mr. French (You can see his photo here. Does that even look like a real person to you??) or whoever we’re actually dealing with. Raise your hands: how many of you would have taken a picture of this circle of meters and posted it to the Clonehenge Facebook group for us to see? As expected, from where we are sitting we see NO hands. Our mysterious friend is on his own. He called the circle Meterhenge, One of the Seven Wonders of Baldock. We were trying to think of ways to be polite about telling him that this was as much like a Stonehenge replica as a traffic cone is like a Giza pyramid replica when we realised that the sly devil was being much more esoteric than he’d let on. 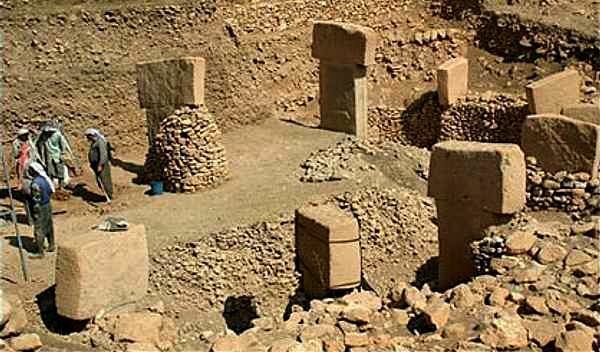 This isn’t a Stonehenge replica–it is a replica of the oldest known temple in the world, Gobekli Tepe! The resemblance is stunning! Mr. French’s comment when we mentioned it: “The name Baldock is supposed to have historical connections to Baghdad, too…uncanny, eh?” Heh. We won’t go into the distance between that part of Turkey and Baghdad in Iraq. He knows all that. Obviously we are dealing with one of the Illuminati, possibly even a shape-shifting reptilian, trying to act like a regular human being. (Remember how we told you that Baldock was founded by the Knights Templar?!) We may as well play along. Yes, Mr. French. Uncanny. So that’s that. Let this be a lesson to all: don’t send us ridiculous circles of things that don’t resemble Stonehenge at all. We refuse to post them. Unless they resemble some obscure megalithic site that we’ve always wanted to work into our blog somehow, or unless you belong to a race of beings who could wipe out our extended family and both of our friends instantaneously without leaving a trace! This was one of those cases. We leave you, Gentle Reader, to guess which one. Until next time, which may involve the hither-to unhenged state of New Jersey, happy henging! P.S. : Are those things actually meters? What do they do exactly? Inquiring minds want to know! It might shed some light on the research at Gobekli Tepe. Citrus-Henge in the Riviera, Comes with its Own Druid! There are certain Stonehenge replicas that cause us to let out little chirps of sheer joy. The best example of one that made us insanely happy is, of course (as we are sure you will recall) the Taipei interactive Stonehenge sculpture. While the replica in this post doesn’t detect your approach or talk to you the way that one does, it is still squeak-worthy. Allow us to present to you… (drumroll) Citrus-henge! Yes, ladies and germs, that is a Stonehenge replica made of lemons, limes and oranges. In France. We don’t ask for these things. Honest. People just can’t help themselves. The story is, the French town of Menton, on the Riviera very near the border with Italy, has a lemon festival every year in late February and early March, featuring large floats with structures made of citrus fruit. Each year it has a different theme,this year’s being Great Civilisations. And there amidst the Babylonians, the Vikings, the Mayans and the Greeks, voila! someone did a Stonehenge. Come to think of it, we may be burying the lead story here. Someone in France decided that something English represented a great civilisation. Of course the original was built over four thousand years ago, so it can’t be construed as a straight-on compliment. Wouldn’t be French if it were. We would be content just to post a life-sized partial Stonehenge replica made of citrus, but there’s more. Oh, yes, my friends–your eyes do not deceive you, as much as you may wish they did. That is indeed none other than–a druid!!! Ya gotta love it. (these two photos courtesy of the carpe annum blog. Many thanks to them!) Clearly the message that druids did not build Stonehenge has not gotten through to people worldwide just yet. They did do a nice job on it, though, didn’t they? We wonder who got to keep that druid. As to scoring, we are looking at a surprisingly well put together partial Stonehenge. The replica includes the three-lintel stretch from the outer circle, a slightly larger trilithon from the inner horseshoe, some bluestones, and what appears to be an altar stone. Someone also took time to give appropriately uneven shapes to the “sarsens”. Considerable care and observation went into this. Well done. Score: 7 druids! We are even considering adding another half druid for the wackiness of it all. But they do have a druid already, don’t they? 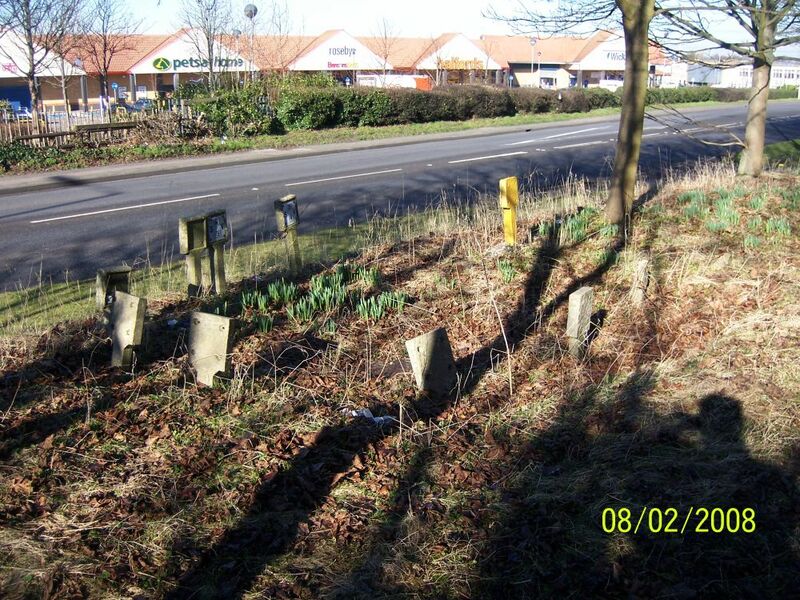 Our thanks to friend-of-the-blog David Raven of Elmet Garden Services in West Yorkshire. Thank you, David! He’s very good with plants, everyone, and we encourage you to hire him to work the garden. A man in touch with the spirit of the land. And until next time, folks, happy henging! Bouncy Irish Dolmen: Can We Get This in Stonehenge? Is this not brilliant? A man named Jim Ricks created this variation on the bouncy castle, the Poulnabrone Bouncy Dolmen (more pictures and information at that link), referred to as a monumental inflatable sculpture, to be a public artwork. Regular readers, a concept we doggedly refuse to stop pretending is real, know that we occasionally do posts on replicas of megalithic sites other than Stonehenge. This one is a surprisingly accurate rendering of the Poulnabrone Dolmen in Burren, County Clare, Ireland, as seen in the above photo by Keith Drummond. Our warm thanks to friend of the blog Feòrag NicBhrìde for passing the link along to us! It may go without saying but we now have a second Clonehenge wish. Right after our hope for a Stonehenge replica in space we will now be keeping our fingers crossed and looking out for a bouncy Stonehenge! We have faith in the Stonehenge replica imperative (Rule 34 s): Whatever it is, there is (or will be) a Stonehenge made of it. No exceptions. That bouncy Stonehenge may be out there already, at a child’s party in Singapore or a medieval fair in the Czech Republic. It’s just a matter of time until it appears online. And we’ll be here to let you know. Until then, friends, happy henging! NEWSFLASH!! As of April 19, 2012, mankind’s dream of a bouncy Stonehenge has been realised. With tears of deep emotion we offer you this, our post on the ultimate achievement of our species, Jeremy Deller’s bouncy inflatable Stonehenge. Oh, sweet world that answers our deepest and most hoped-for desires! Recently we were pleased to receive our very own Stonehenge model kit from the Spanish company Aedis Ars. Apparently the post took its good old time getting it here, as it had been sent as much as two months ago, but all’s well that ends well, as they say, and here it is at the Clonehenge offices. The set is quite impressive. It comes with a nice little history of the building of Stonehenge and a large poster with pictures and diagrams showing how to assemble the kit. This is not a ready-made kit that requires only that you set the stones upright, but a kit for a serious hobbyist, preferably someone with a shed and extra work table where the set can remain while the modeler works at refining and constructing it over time. It seems perfect for the sort of British hobbyist who spends much of his time at the allotment or in a shed in the back garden, taking pains to perfect the finest detail in anything he fiddles with. In other words, the end result would completely depend on how much time and finesse one wants to put into it. So far, I am sorry to say, ours remains in the box. Still, it looks like a fine model kit, with key details included. For example, although the base provided is only big enough to include the main circle at Stonehenge, the construction poster shows an expanded view including the positions of the Slaughter Stone, the Heel Stone, Station Stones, and the Z, Y, and Aubrey Holes with distances and dimensions given, so that if said eccentric enthusiast wants to make his own expanded base in order to include more of the landscape, the information and extra stones he would need are there. We like to think that Clonehenge had something to do with that bit. If you know otherwise, please allow us our modest delusions of grandeur. We can’t score this kit as we do complete replicas, but if we replace our usual druid scoring, as a set we would give it as many as 8½ anoraks. If we ever get our model made, we’ll post a picture. But don’t hold your breath. The new Stonehenge visitor center will probably be built first! Many thanks to Aedis Ars for our complimentary kit. Nice to get a little loot for all of our thankless labour over the keyboard! When blogging about Stonehenge replicas becomes a lucrative business (any minute now), we’ll have an employee built the model (and we’ll expand those offices). Until then, gentle readers, happy henging!